What benefit does China get for being the largest single foreign lender of money to the U.S. federal government? In important ways, China now controls U.S. monetary policy. What happens in the Middle Kingdom affects the decisions that Fed chair Janet Yellen can make about whether to raise or lower interest rates. We saw this just a few days ago when the Fed held fire on a long awaited hike in rates (despite the fact that the U.S. is at full employment) because of global economic headwinds emanating from China, most particularly the disinflationary effect that slower Chinese growth has on the world. Yellen needs inflation to be higher–and in particular, she’d like to see wage inflation be higher–before raising rates. Yet there’s no indication that will happen anytime soon, and China is a big reason why. 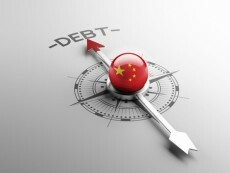 At this point, we need to correct Foroohar’s debt statistics, because she has confused the total debt owed by all entities in China, which includes money borrowed by local governments, businesses and households, with the debt owed by just the U.S. federal government to its direct creditors, which is presently about 101% of the nation’s GDP. And it’s only that low because the U.S. government hit its statutory debt ceiling back in mid-March 2015. If the U.S. Treasury were allowed to borrow more, and they would if they could, it would be considerably higher. Is it time to start panicking about China’s debt? If you believe Beijing won’t support the municipalities that have overdosed on credit over the last few years, then absolutely. But overall, China’s federal level debt remains low, bank’s remain strong despite higher non-performing loans on the balance sheet, and yet we still get a total debt to GDP ratio of a whopping 282%. First, a little comparison. The U.S. total debt to GDP, which includes household and corporate debt, is 331.7%. The economy has not imploded because of that, though there are plenty of people out there with books and newsletters to sell who say it is only a matter of time. They might be right. The same holds for China. Since that time, the Gross Domestic Product of the U.S. economy has been revised, where the most recent data for the total debt owed by U.S. entities now being reported totals some 334.6% of GDP, through March 31, 2015. So really, the total amount of debt owed by entities in both nations is quite high, but with the U.S. having a significantly higher total debt-to-GDP ratio than China. And since the U.S. government directly owes China so much money, China would appear to be getting the perk of being able to tell the Fed to put off its plans to increase interest rates for its own benefit.